In this issue we take a break from the sequence we have set for ourselves in order to focus on an issue of intense interest to all of us, with the help of a symposium recently held at the John Paul II Institute’s Center for Cultural and Pastoral Research on the future of medicine, with a focus on the fate of Catholic medicine specifically. Delays to this issue are partly due, ironically enough, to the Editor’s own experience of hospice care at Sobell House in Oxford, which has made the present issue of more than usual interest to him. Though Sobell is not a Catholic institution, his experience there brought home to him the importance of the spirit or ethos that pervades any community of carers. This conference issue tries to cover a number of important issues. They include rising health-care costs, the emergence of giant for-profit health-care systems, the decline in religious vocations, controversy over reproductive medicine, end-of-life care and other bioethical issues, not to mention new government regulations limiting religious liberty. Such changes are conspiring to reduce or perhaps even eliminate the institutionalized presence of Catholicism in American health-care over the course of the next generation. This naturally raises the question of what place there may be for Catholicism in health-care in the coming years. This is not the only question; however, nor even, perhaps, the most important. Western medicine is a highly advanced science, but it is also an art nurtured from its very beginning within the bosom of the Church. The Church’s understanding of the human person, her distinctive notions of health and of care, and the discipline of religious life, all helped give birth to hospital and to medical care in the West and have profoundly shaped the self-understanding and institutions of modern medicine, its view of the patient, and the meaning of the medical calling up till now. Perhaps a still more urgent question, then, is not, what is the fate of Catholicism in modern medicine, but what is the fate of modern medicine and the ethos it inspires once its religious roots are forgotten? Glenn Olsen and Michael Hanby address the historical dimension of these issues. Historically speaking, Catholicism profoundly shaped the soul of Western medicine in several ways. 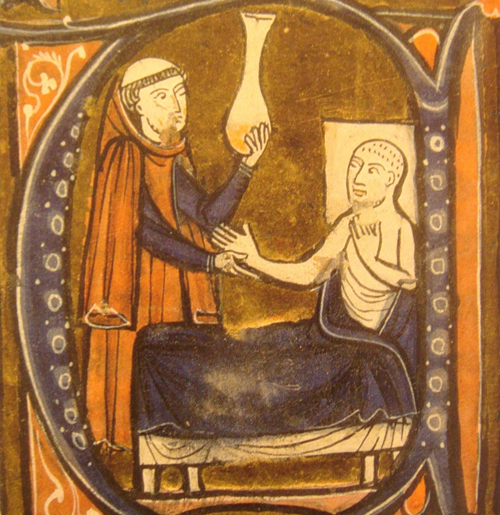 In many instances, Western medicine was the direct outworking of a religious vocation. Monastic foundations created institutions devoted to charity that would become the modern hospital, and generations of women religious saw nursing as an integral dimension of their vocation. Such factors deeply informed medicine’s self-understanding in terms analogous to a religious vocation and its spiritual disciplines, as seen, e.g., in the adoption of the Hippocratic oath. Implicit within this self-understanding is a corresponding understanding of the patient as a person, a person, a per se unum of body and soul, whose health is not merely physical. The radical changes brought by scientific and bureaucratic medicine portend changes both to medicine’s self-understanding and to its underlying medical anthropology. What are these changes in medicine’s underlying anthropology, and how will they affect medicine’s self-understanding and the formation of its practitioners? Are professional and quality control standards an adequate replacement for a vocational sense of medicine and its corresponding disciplines? Turning to the present and the future, Sara Deola discusses how the patient and his health will be viewed in medicine increasingly (and exclusively?) understood as a technical science. What, in other words, is the anthropology of technological medicine and how will this be brought to bear on medical care? John I. Lane asks whether there are any opportunities for “creative minorities” to practice medicine in a Catholic way within the emerging cultural, legal, economic and technological context? Apart from the usual bioethical considerations, how might Catholic medicine look different from and improve upon medicine as it is currently developing? Finally, Mary Hamm and Ruth Ashfield ask whether medicine’s fascination with its scientific prowess and own power to cure, rising costs, scarce resources, and the need for greater efficiency all call into question our ability to abide patiently with those who cannot be cured. How is suffering understood within the anthropology of contemporary medicine? Is it intelligible? What are the expectations for how a thoroughly secular medicine will cope with “hopeless cases”? In an Appendix, Allen Aksamit looks at the history of the Mayo Clinic itself, and shows how cultural, governmental, and economic forces are combining to erase the last vestiges of the Catholic character of once-Catholic medical institutions. What might the future hold for these and other medical institutionswithout the witness that Catholic health-care once provided? We hope that these rich and thoughtful papers on so many aspects of health-care will help to orient Catholics and a wider public in a debate that (either now or in the future) affects all of us in one way or another.